The Edwardian Teddy Boy - The Making of Boy Gangsters . These photographs of early Edwardian, Colin Donellan were taken by photographer Charles H. Hewit and published in the Picture Post in October 1953. 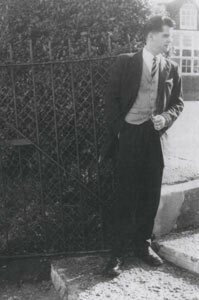 From the Picture Post of October 1953: "Colin Donellan, aged 22, is a London boy from a good family background but has been in trouble with the police since the age of eight. He has been to a succession of approved schools, Borstals and an adult prison. He is seen here in his 'Teddy Boy' clothes, so called because they are influenced by Edwardian fashions; these clothes are worn by many criminal gang members." 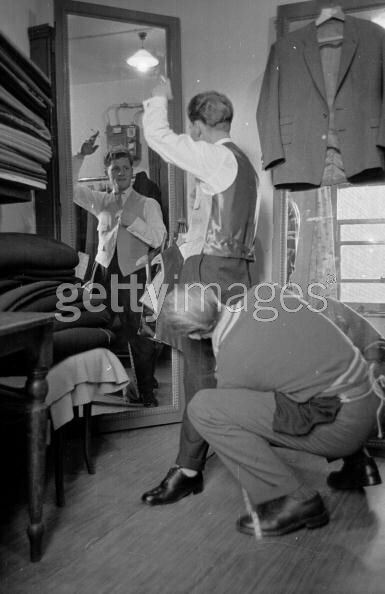 10th October 1953: Teddy Boy Gang Member, Colin Donellan gets fitted out in the waistcoat which is fashionable in his circle, by a London Tailor. 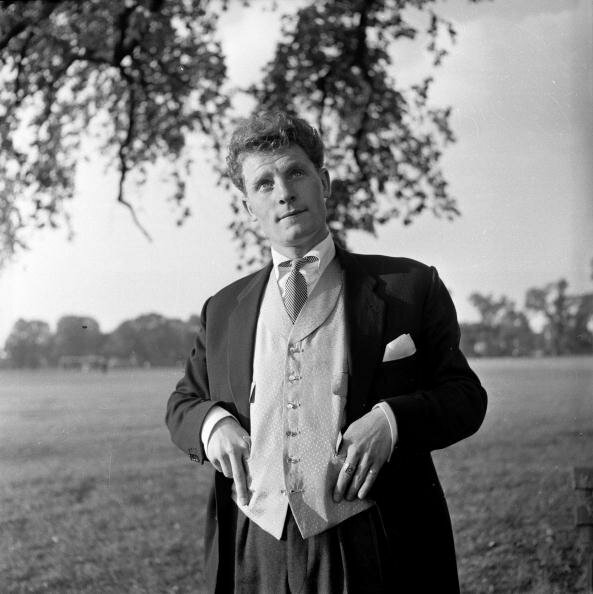 10th October 1953 London gang member Colin Donellan dressed in fashionable Edwardian style clothing on Clapham Common. 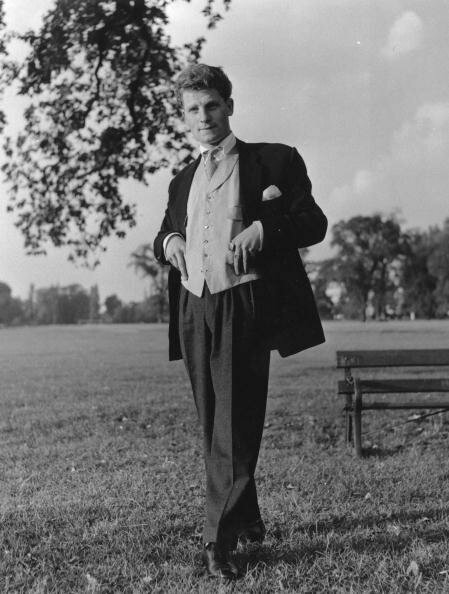 10th October 1953 another view of London gang member Colin Donellan dressed in fashionable Edwardian style clothing on Clapham Common. 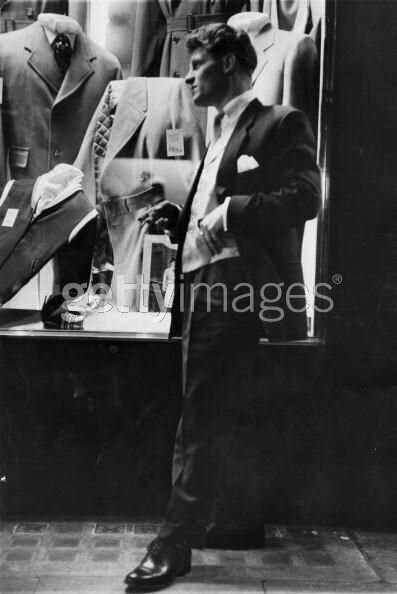 10th October 1953 London gang member Colin Donellan dressed in fashionable Edwardian style clothing outside a Cecil Gee Shop . 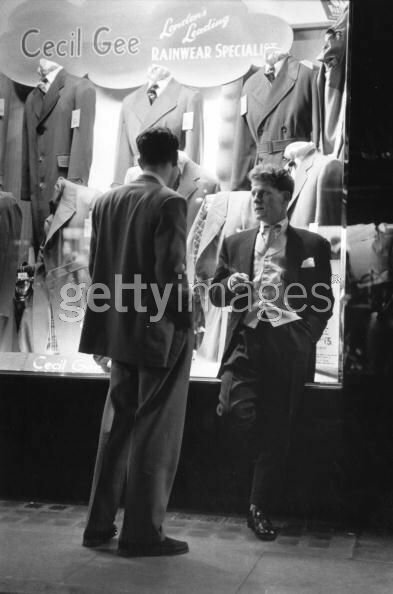 10th October 1953 Another view of London gang member Colin Donellan dressed in fashionable Edwardian style clothing talks to a friend outside a Cecil Gee Shop . 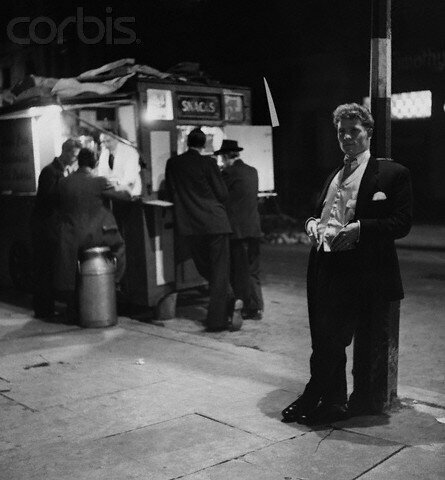 10th October 1953 Another view of London gang member Colin Donellan dressed in fashionable Edwardian style clothing outside a late night snack bar. 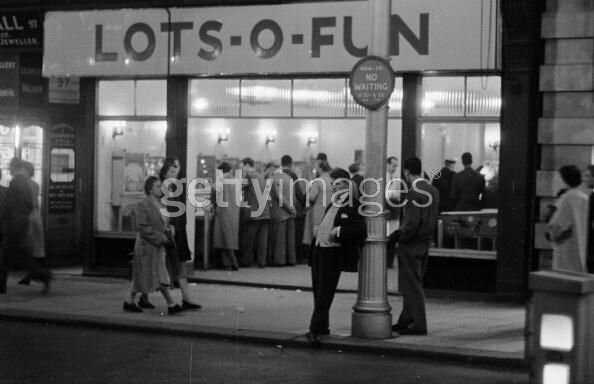 10th October 1953 London boy gang member Colin Donellan lounges against a lamppost in front of an amusement arcade. Edwardian Teddy Boy, Paul Culshaw models a similar outfit to that worn by Colin Donellan around 1980. The waistcoat is identical.